Specialist Tools Australia will be attending the 2019 Australian Automotive Aftermarket Expo and says it is pleased to announce the introduction of Govoni tools to the Australian market. 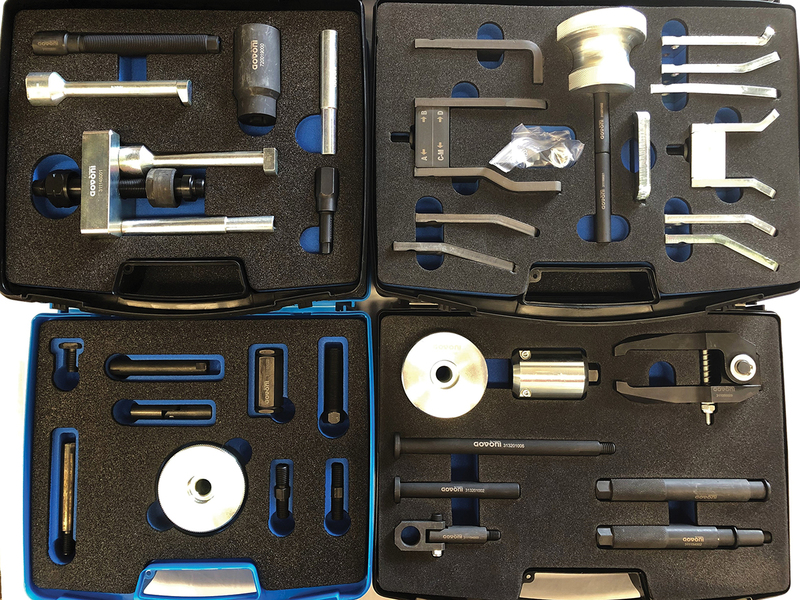 Govoni tools are a leading manufacturer and designer of specialist automotive tools and are distributed in Australia through Specialist Tools Australia (STA), located in Canberra ACT. Specialist Tools Australia says it can supply tool kits to help the modern mechanic repair vehicles in a professional and timely manner, helping to reduce repair times and maximise cost to the repairer. It supplies a range of specialist diesel engine tooling for the automotive technician, including seized diesel injector, glow plug and pump removal tools, Diesel Injector seat cutting, Engine timing tools for Diesel and Petrol engines and specialised diagnostic tooling. Some of Specialist Tools Australia’s more popular kits include those used to remove diesel fuel injectors and glow plugs which have become seized in a vehicle’s cylinder head. It says that if you have ever experienced this problem, you will understand how difficult they can be to remove, and how costly it can become not only for you the repairer, as you may need to sublet the job out if it starts to go pear-shaped, but also for the vehicle owner if the injectors are damaged while removing or if the cylinder head needs to be removed. Some other kits supplied by Specialist Tools Australia include diesel and petrol timing kits, specialised hand tools and the new and “innovative” Pneumatic Coil Spring Compressor workstation which incorporates a comprehensive safety concept which includes pneumatic cylinder, foot pedal, safety cage, shock absorber drop guard and pedestal to ensure maximum safety for the user.